Dubai-based ports operator DP World will invest $1.9 billion in China, according to the Twitter account of the Crown Prince of Abu Dhabi. Sheikh Mohammed bin Zayed Al Nahayan was on a three-day official visit to Beijing, during which a host of business deals were announced between the UAE and China. 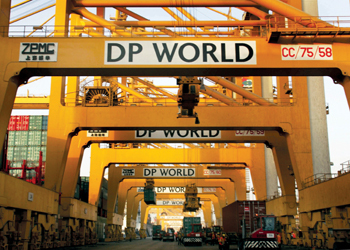 DP World has three ports in China – Qingdao, Tianjin and Yantai – according to its website. Meanwhile, DP World and Canada’s Prince Rupert Port Authority have announced an agreement to study further expansion of the Fairview Container Terminal in Prince Rupert. The agreement was signed by DP World Canada Group general manager Maksim Mihic, and Prince Rupert Port Authority president and CEO Don Krusel. DP World is the operator of the Fairview Container Terminal and construction is currently underway for the Phase 2 North expansion. Government of Canada approval has been received for the Phase 2 South expansion of the terminal further to the environmental assessment completed on terminal expansion in 2012 in accordance with the requirements of the Canadian Environmental Assessment Agency. Under the Feasibility Study agreement, DP World intends to study current marine liner services and container volume growth forecasts for trans-Pacific trade on the West Coast, weighing demand for activation of Fairview’s Phase II (South) expansion to align the project schedule with market demand. This study is critical to the future growth of port operations within British Columbia and will serve as the basis for moving forward with this project in a timely manner. Additionally, the agreement included the intention to establish a cohesive and systematic approach to information sharing as well as environmentally sustainable port initiatives. “Phase II South, which could potentially be delivered within the next three to five years depending on demand, would increase the total capacity of Fairview Container Terminal to in excess of 2 million teu, and would provide capacity to meet Canada’s Pacific container terminal capacity requirements for decades to come in a cost-effective and environmentally responsible manner,” said Mihic. In early 2015, the Phase II North expansion project was launched. It will raise the terminal’s capacity to approximately 1.3 million teu upon completion in 2017.